Maple syrup has the same antioxidant and anti-inflammatory properties as green tea, which is also a superfood. Maple syrup offers health benefits, just like blueberries, red wine and tea. Because of its antioxidant, antibacterial and anti-inflammatory properties, maple syrup helps prevent cancer and Type 2 diabetes. This has been confirmed by researchers at Rhode Island University, and we can read their conclusions in the Journal of Functional Foods. A Canadian product of choice, maple syrup contains 54 antioxidants, 5 of which are unique to this product. These five new components include polyphenol, produced during the boiling process in maple syrup production. Phenolic properties are also found in blueberries. Polyphenol is also known as Quebecol in honour of the province of Quebec, a major maple syrup and blueberry producer. The researchers conclude by saying that even if we may not yet know precisely all the health benefits that maple syrup offers, it’s not too early to state that it is a superfood. Much hope is now focused on maple syrup, not just because people will be affected by cancer, but also because by 2050, Type 2 diabetes will affect one person out of every three. 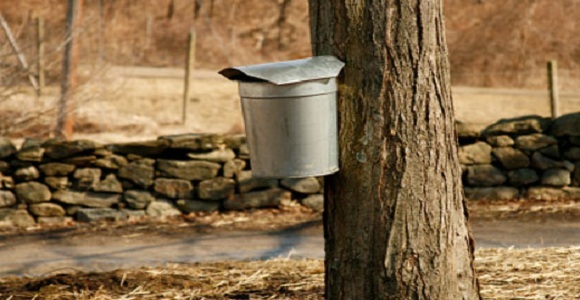 Several teams of scientific researchers are continuing to research and analyze maple syrup to learn about all the benefits it may have for our health. Also recognized for its irresistible power of sweetness, maple syrup offers excellent nutritional value. It contains zinc, which plays a role in genetic formation, healing and fetal development, and manganese, which provides protection against free radicals. Maple syrup also has an appreciable amount of calcium and thiamin. Just a small amount (60 ml) of maple syrup provides 100% of the recommended daily intake of manganese, about 40% of riboflavin, 18% of zinc and 5% of both calcium and potassium.